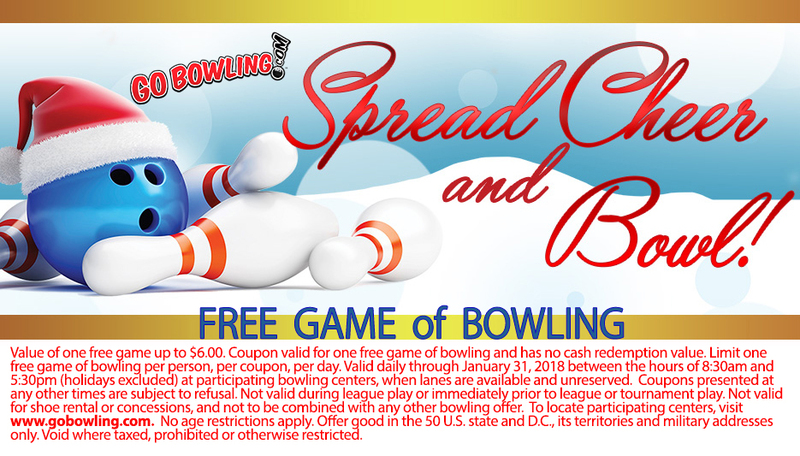 Head over and print this coupon that is valid for a FREE Game of Bowling at a bowling alley of your choice! You can find a participating alley here. This coupon is valid for a free game per person, per coupon, per day. It can be used until 1/31/18. There were MANY participating alleys within 10 miles of my house, so odds are great your local one will honor this coupon.